Events and Cruise Spots Car show and gathering information. Also use regional sections or Calendar. ANNOUNCING our 27th annual event – CAMARO SUPERFEST 2018! June 29-30, July 1, 2018This is an ALL Camaro event based on having fun with you and your Camaro and raising money for worthy charities. We have given $67,000 in the last 10 years!! Our 2018 charity is – STIGGY’S DOGS! http://www.stiggysdogs.org/They use rescue dogs to help Veterans with any type of disability!! They rescue one to rescue the other!! COOL!! Our 2018 goal will be to raise $15,000! We do an activity on Friday, possible dinner on Friday and Saturday nights and show & shine on Saturday and Sunday! With over 500 Camaros attending in 2017, we ARE the largest, longest running, friendliest ALL Camaro event in the USA!! Registration will start in February 2018 – watch our website www.camarosuperfest.com and our FaceBook page for announcements! 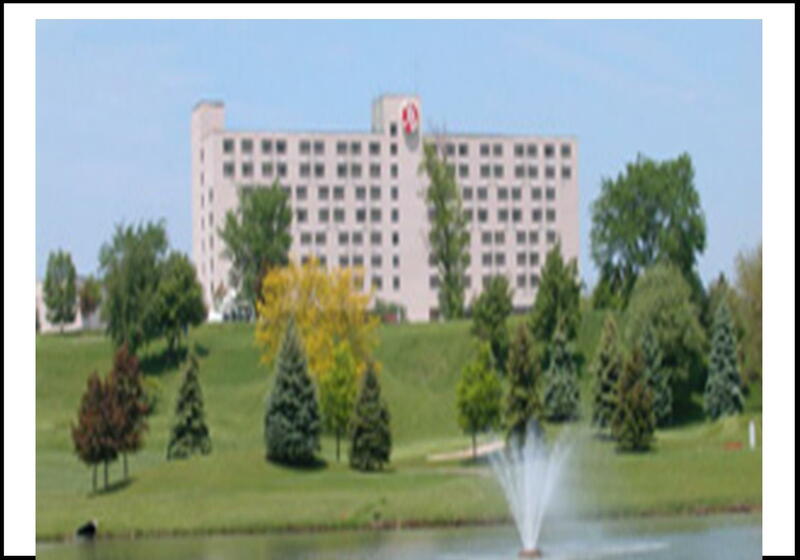 Our HQ hotel is the same... Marriott at Eagle Crest in Ypsilanti, MI and they are ready to take your reservations. We hope to see YOU and your Camaro in 2018!! I know you all have been waiting for more info.... well, sorry to ask you to wait just a bit longer... MAJOR announcements all weekend long! stay tuned......! ANNOUNCING!!!!!!!!!!!!!!!!! 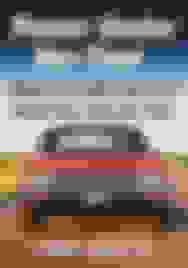 !At CAMARO SUPERFEST 2018, our 27th annual event, we are very pleased to announce our event theme... and it’s a doozy!! CAMARO SUPERFEST is very pleased to announce our 2018 theme... we will celebrate the HOT WHEELS 50th anniversary by featuring Hot Wheels Camaros!! 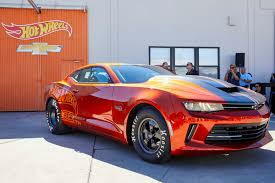 Special judging classes will be available for 2012 and 2018 Hot Wheels Camaro editions that attend CAMARO SUPERFEST! We may even try for a special group photo! The included image is our proposed award and t-shirt artwork! (not the final version!! )Our website is going through extensive renovations and we expect it to be ready for our opening of registration, in mid-February! Watch here for the official announcement of that day and time. We hope to see YOU and all of your Camaro friends, at CAMARO SUPERFEST 2018!!! ANNOUNCING!!!!!!!!!!!!!!!!! !At CAMARO SUPERFEST 2018, our 27th annual event, we are very pleased to announce our Friday tour schedule... and it’s another doozy!! CAMARO SUPERFEST is very pleased to announce that we will be returning to the COPO BUILD CENTER! 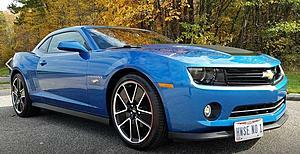 We are the only Camaro event to be able to offer this tour and the only one that has been there before (2013)!! This will be a morning tour and in the afternoon, we’ve arranged more time at the famed GM HERITAGE CENTER! There... a special historic Camaro display will be shown, featuring such cars as the only COPO convertible, the last Z28 built at the St Therese plant, 67-69-03 Indy Pace Camaros and many more! In one day... you will get exclusive views of how the Camaro COPO factory drag cars are made and see GM history through the most extensive collection of GM cars on the planet! We are still working on something for Friday night... it will be scheduled when registration opens.Our website is going through extensive renovations and we expect it to be ready for our opening of registration, in mid-February! Watch here for the official announcement of that day and time. 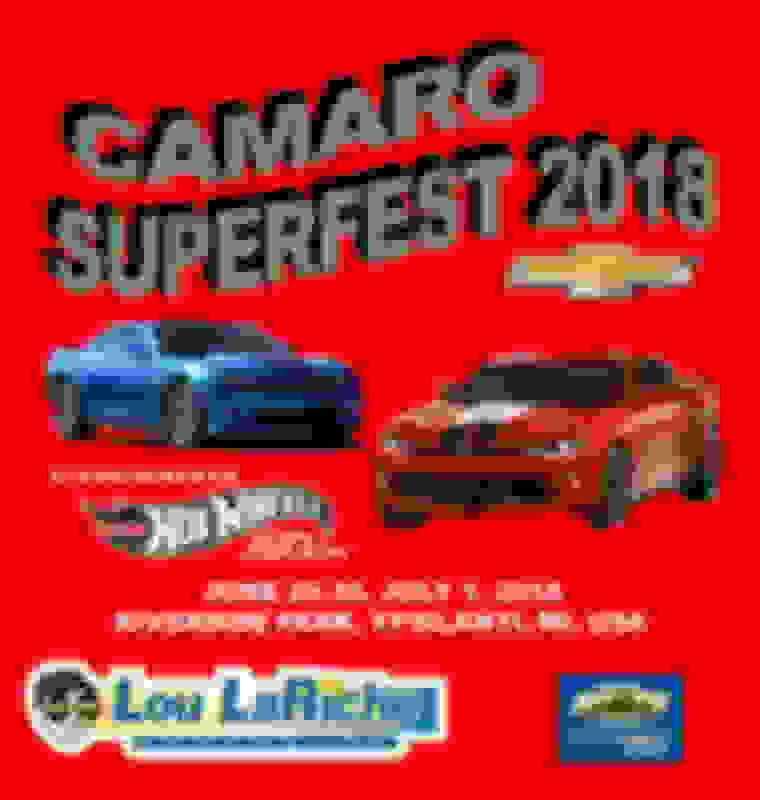 We hope to see YOU and all of your Camaro friends, at CAMARO SUPERFEST 2018!!! 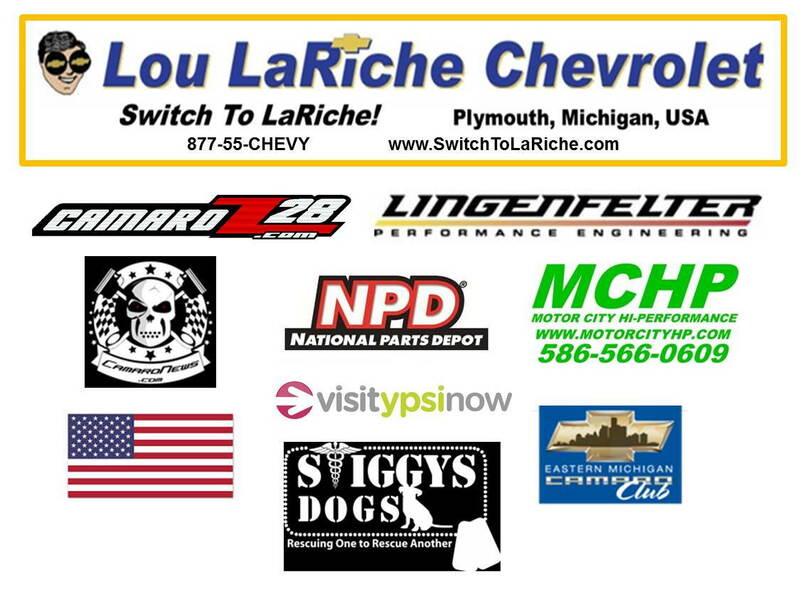 At CAMARO SUPERFEST, we are pleased to announce some of our great event sponsors!! Our PREMIRE Sponsor is also our club sponsor... LOU LaRICHE CHEVROLET!! Our next sponsors to come forward are SILVER sponsors – Motor City Hi-Performance, National Parts Depot, CamaroZ28.com, CamaroNews.com and the Lingenfelter Collection! We’ll announce more sponsors as they sign on!! Please support those that support our event and you!! Our website is going through extensive renovations and we expect it to be ready for our opening of registration, in mid-February! Watch here for the official announcement of that day and time. 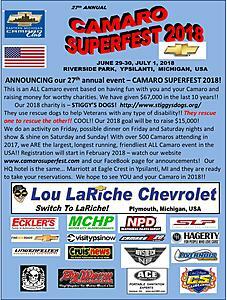 We hope to see YOU and all of your Camaro friends, at CAMARO SUPERFEST 2018!!! With our registration announcement made... we have more to tell!! 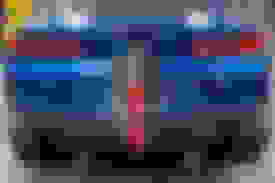 As mentioned some time ago, our 2018 theme is Camaro Hot Wheels! We are pleased and honored to let you know that the 2013 #1 Camaro Hot Wheels Special Edition Camaro, will be attending CAMARO SUPERFEST 2018!! Thanks to Sherry and Chris Fogle-Slocum for letting us know they will be with us this year!! ALSO attending... the man himself... Scott “Fbod-Father” Settlemire!! 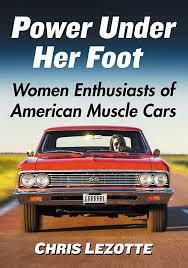 We’re hoping he’ll be driving his ’73 Camaro... but no matter what he is driving, we’re honored Scott will be attending!! HELLO from CAMARO SUPERFEST HQ.... !!! We have 2 very important and great announcements to make. Please share this information with any and all you know...!! Here is the first.... (the second will follow very soon...) Those that have signed-up for the COPO Build Center tour on Friday morning... Chevrolet will be having a lunch for us!! It could simply be hotdogs and chips... but it is included with your tour!! ALSO - Chevrolet will have some specially made CSF-COPO t-shirts for sale (approx. $20 each) and these will be available while you are on the tour. Many of those already registered for CSF signed up for both tours, but did not take advantage of our "Tour Package" that would have saved you $5 per person. Well... we at CSF are not about to take advantage of you and those that signed up for both tours and did not use the discount... we'll have that discount waiting for you at registration... in cash!! Last item on the COPO tour... if you have not registered and signed-up for the tour... DO SO NOW!! We have 135 registered to go on the tour. We have been asked to hold the number of attendees at 170!! Once we reach that number, we will close down the COPO Tour. Thanks....! Our next announcement is a real fun one!! On Saturday night, while at the Lingenfelter Collection Tour with pizza dinner, we will hold a LIVE auction. We will have 10-15 items specially selected for this auction. One of the items could be the nice donation from Camaros of Michigan (see photo). The catch... (you knew there would be one....) you will need CAMARO MONEY to use in the auction!! How do you get Camaro Money.... all of those registered to go will get $200 per car entry. Then at registration and event HQ from Thursday to Saturday, we will have 800 envelopes of Camaro Money for you to purchase for $2 each or 3 for $5. How much money will be in those envelopes? You don't know until you open them!! Buy as many as you want, but once they are gone.... that's it!! We will have denominations of $50, $100, $200, $500 and a few $1000 bills! Thus... you could spend $10-$20 and end up with $3000-$6000 of Camaro Money to use at the auction!! We hope you will like this twist on a live auction. We are hoping this method will be much more fun for all... and still help our charity efforts!! THANKS to the Ontario Camaro Club... who pioneered this many years ago... it was a blast then and we hope it will be a blast again!!AND... Acceptance Letters will start to be emailed out this weekend!! Watch your email....! And one more request.... please PRAY for good weather (as in dry!!) THANKS!!! OK... announcements and more announcements... Lov’in it!!! We have asked and received a slight extension on our HQ hotel room rates. $121 a night for a 4 star hotel is a great rate and that will last until Sunday, June 10th at mid-night!!! After that, the rooms in our block will be at regular rates. Please see below for our current availability: THU 28JUN Rooms Available...10 FRI 29JUN Rooms Available....9 SAT 30JUN Rooms Available ….11 SUN 01JUL Rooms Available....1 If you still need a room... CALL NOW!!! Our HQ Hotel is- The Marriott at Eagle Crest 1275 S Huron St. Ypsilanti, Michigan 48197 734-487-2000www.marriott.com/hotels/travel/dtwys-ann-arbor-marriott-ypsilanti-at-eagle-crest NEXT.... the Acceptance Letters are nearly ALL out!! As of right now... I have another 20 or so to do to be totally caught-up. That will happen later tonight!! If after today, you have registered and did NOT get an email letter... first, check your spam/trash folder. If still no letter, email Barry – [email protected]. And one last reminder.... there are ONLY 6 spots left for the COPO Build Center tour!!! This is a great tour to see how these factory drag cars are hand made!! CAMARO SUPERFEST is the ONLY Camaro event to be granted tours of this facility!!! See you soon... keep praying for good weather!!! HELLO!!! We are only 10 days away from the start of Camaro Superfest 2018!!! WOW!! Here are some updates and an important announcement......IMPORTANT!!!.... Online pre-registration will END this coming Saturday, June 23rd at midnight!!! After that date, you simply register when you arrive! We currently stand at 248 registered - THANKS!! !UPDATE-1 - We are VERY pleased that our event is a real mix of all Camaro years and models!! We have been pleasantly surprised that of the last 20 (or so) registrations, 15 have been 1st, 2nd, 3rd or 4th gen Camaros!! 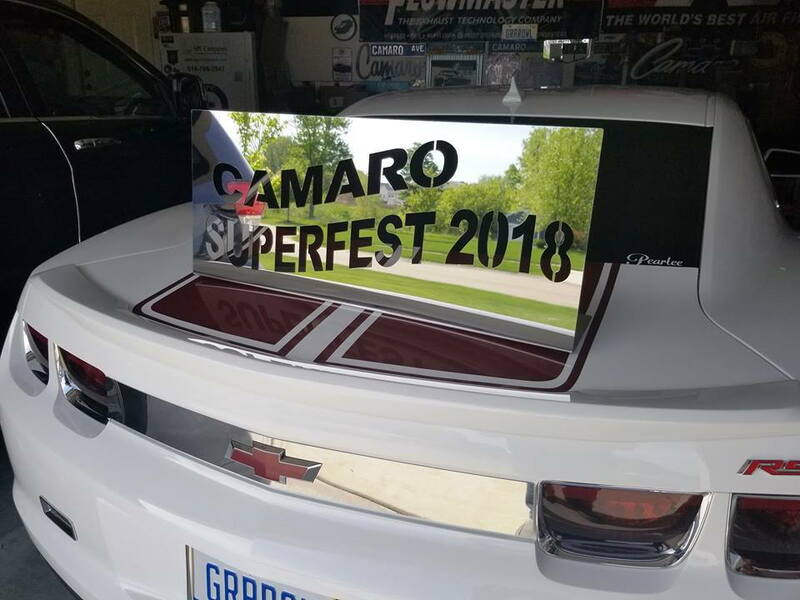 You will see all years, body styles and models at CAMARO SUPERFEST 2018!! UPDATE-2 - We are gathering some really nice items for our special auction, to take place on Saturday night at the Lingenfelter Collection tour/dinner!! We'll post a photo or two in a few days, but so far... 3 Camaro Team signed diecast Camaros, 2 model car kits, a r/c race car track set, Camaro Team signed Hot Wheels posters and more!! 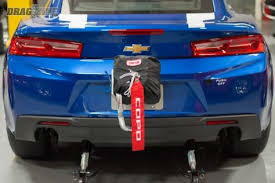 We hope to have at least 15 items for auction... but remember.... you have to use CAMARO CA$H!!! Envelopes with Camaro Ca$h will be available for $2 each or 3 for $5 at registration and event HQ. UPDATE -3 - Our regular Silent Auctions are also getting stocked with some great items! We'll do 2 on Saturday and one on Sunday. We will also do a VERY LIMITED LIVE auction just before the awards presentation on Sunday. Our 2018 CSF signs and a great neon sign (donated by EMCC member Don Jorgensen) will be up for purchase.ALL auctions benefit our charity - STIGGY'S DOGS!!THANKS!!! See you soon!! Keep praying for good weather!!! Camaro Superfest 2018 is complete!!! THANK-YOU for those that attended and helped make our event great, for another year. We had many first-time attendees and I believe those that have attended before, made these new-comers feel very welcome and know what it means to be in our Camaro Family!! 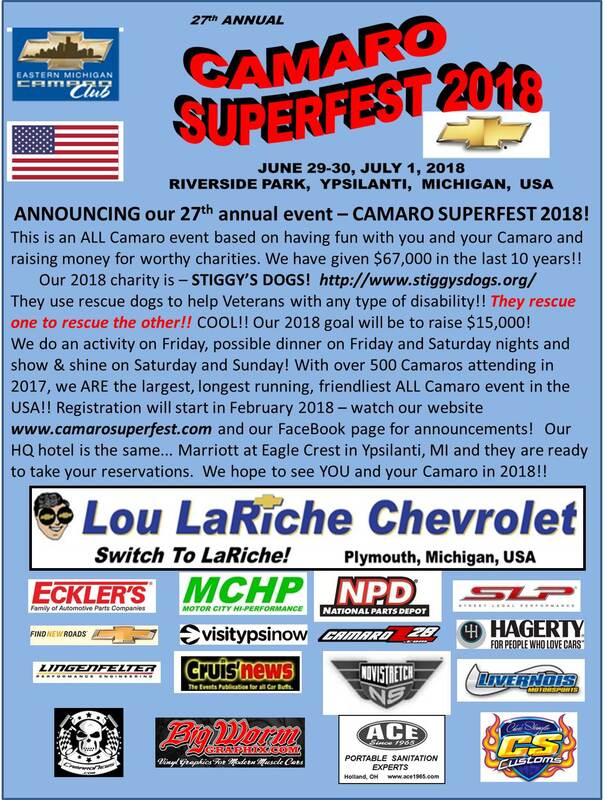 I truly believe our "moniker" is still correct.... "Camaro Superfest is the most friendliest, largest, longest running and most charitable all Camaro event in the USA!" Let's talk numbers.... 458 registered with 415 actual Camaros attending!! While not a record it is a very GOOD amount and a sizable event! More numbers.... 170 attending the COPO Build Center tour, 190 attending the GM Heritage Center tour, 200 attending the Lingenfelter Collection dinner/tour!! AND.... by an early accounting... we will MEET our charity goal of $15,000 to Stiggy's Dogs!!! THANK-YOU to each and every one of you for attending!!!! BIG 2019 CAMARO SUPERFEST announcement!!!!........ Indeed... we had a BIG announcement during the awards presentation, concerning the 2019 Camaro Superfest event!!! 1) our 2019 dates are July 5-6-7, 2019!! 2) the hotel, Marriott at Eagle Crest is all blocked and booked!! You can make your 2019 reservations... NOW!!! 3) Riverside Park will again be our 2019 location (14th year!!!) and is reserved!! and...4) our Friday activity will be.... a return to the high banks of MIS - Michigan International Speedway!!! Laps around the track and a free photo at the start/finish line for all that are atending!!! Now... 2018 "clean-up" items.... Please fill out the event survey form and mail it in or even scan it and email it to us. Changes cannot happen if we don't know it needs changed. These survey form help!! If you were Judged and want your judging sheets, there are instructions in the event program. We do have some event t-shirts left... but these are packed up currently. We'll get them unpacked and counted, then post what is available and how you may be able to purchase one. I know we also have CSF hats available in most colors. More details soon....We really enjoy seeing all of the FB posts and comments!! Keep 'em going!! Once again... THANK-YOU for attending!!!! OOPS - CORRECTION on the 2019 news we posted yesterday, concerning the HQ hotel.... While the hotel is booked for our event and we DO have a big block of rooms, they cannot take reservations until Wednesday, August 8th. Sorry on the mis-information. SO.... in just over a month from now... you CAN make hotel reservations for CAMARO SUPERFEST 2019!!! Thanks! !